Thanks to the feedbacks I have received, I reached to the conclusion that it's really hard to cover a topic like this one in the room of a blog post. 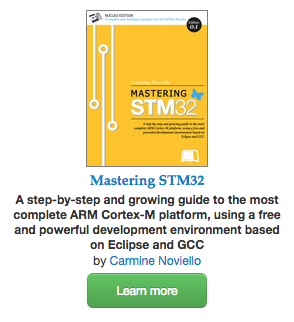 So, I started writing a book about the STM32 platform. In the free book sample you can find the whole complete procedure better explained. You can download it from here. Let's recap what we've done in the two previous parts of this series. In the first part we've configured Eclipse and GCC to build applications for the ARM-Cortex platform. We've used the GNU ARM Eclipse plug-ins to generate a minimal yet working example (a simple blinking LED app) for our STM32 Nucleo board. Next, we've used the CubeMX tool from ST to generate the right initialization code for our Nucleo. 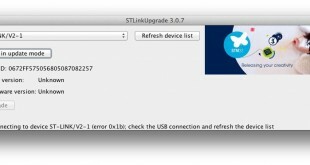 Lastly, we used ST-Link Utility to upload generated binary code on the target MCU. In the second part we've taken a deeper look in the debug topic. We've configured OpenOCD and GDB to allow step-by-step execution of our application on the Nucleo target MCU. In this post we'll see additional debugging facilities that can be really useful during the debugging process of our firmware. 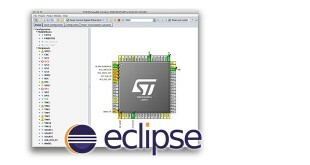 First, we'll install an Eclipse plug-in that allows us to inspect internal MCU registers. Second, we'll see how to configure ARM semihosting, a capability of ARM CMSIS framework that allows to print messages coming from target MCU on the OpenOCD console. When we are doing live debugging of a firmware on the target MCU, it could be really useful to inspect MCU register, especially if we are using integrated peripherals like UART, SPI, CAN and so on. An advanced micro like the STM32F4 has a really high number of internal registers, which can have different configurations. For example, a physical PIN can have several logical functions that are enabled with different settings of dedicated registers. 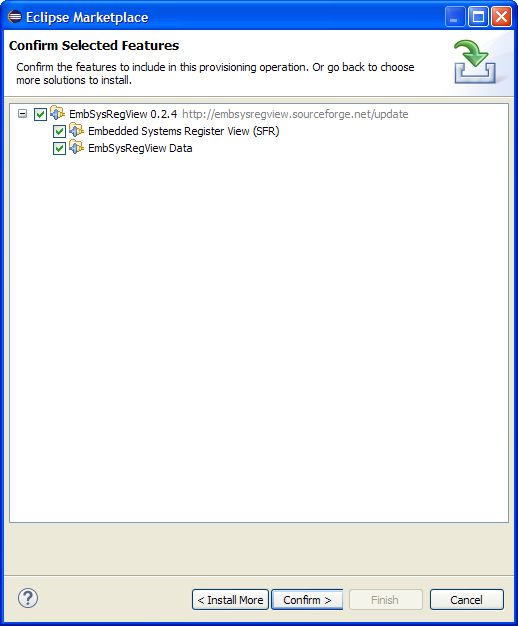 EMBedded SYStems REGister VIEW (below only EmbSysRegView) is an excellent Eclipse plug-in that allows to access to internal memory mapped registers of ARM Cortex MCUs. Follow this procedure to install the plug-in. 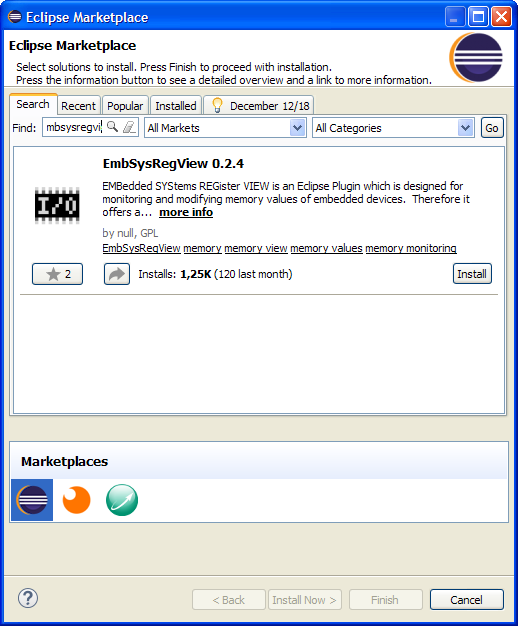 Go to Help->Eclipse Marketplace... and write "embsysregview" in the"Find" textbox. Click on "Install" when the plug-in is shown. In the next page check all entries and click on "Confirm". In the next page accept the license and click on "Finish". Eclipse will complete the installation after a while. Restart the IDE. 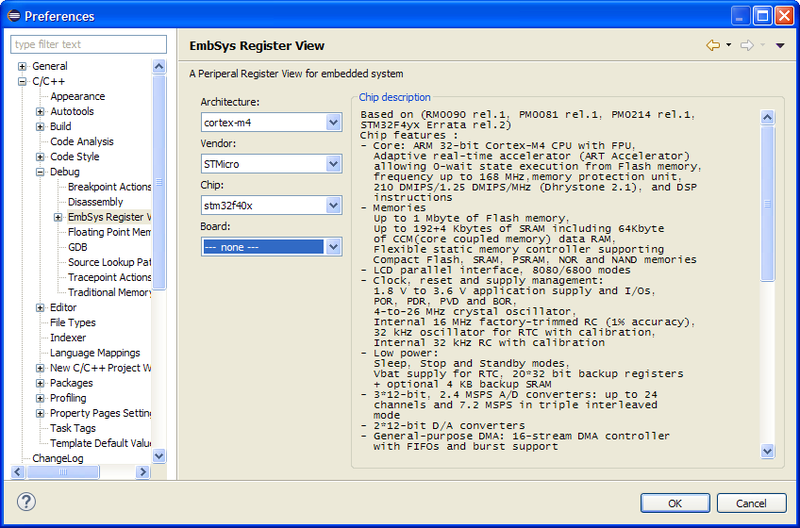 Now we need to configure EmbSysRegView for our target MCU (my Nucleo has the STM32F401RE). 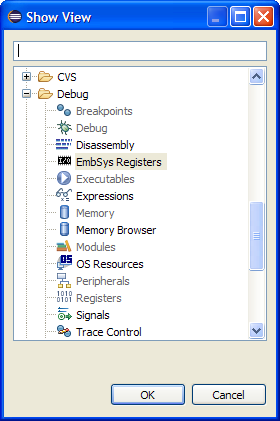 Go to Window->Preferences and then C/C++->Debug->EmbSys Register View and choose your micro, as shown in the following picture. Next, start debugging our test1 project (the test project we've created in the fist part). To show the EmbSysRegView console, go to Window->Show View->Other.... In the selection dialog, go to Debug and then EmbSys Registers. Click on OK. The EmbSysRegView console appears in the bottom area, as shown below. The EmbSysRegView plug-in is really intuitive. Let's see an example. Open the BlinkLed.c file and insert a breakpoint at line 23, inside the function blink_led_init(), where the port A is configured so that the pin 5 is used as output (Nucleo LED LD2 is connected to that pin). Press the run icon on the Eclipse toolbar. When the execution will automatically block at that instructions, open the EmbSysRegView console and select GPIO->GPIOA entry. By default, registers inspection is disabled (you realize this looking at the icon - it's grey when inspection is disabled, green otherwise). Click twice on the icon close to the register name. The icon switches to green. Now, let's execute the instruction at line 23 clicking on Step-Over icon ( ). EmbSysRegView will show that the MODER5 register has changed status. The fist time you'll use EmbSysRegView, you notice a damned annoying behavior. When you do step-by-step debugging, the OpenOCD console takes the focus. This hides the EmbSysRegView console and you can't see when registers change their status. To address this, go in the OpenOCD console and click with the right mouse button. Choose "Preferences". In the next window, UNCHECK "Show when program writes to standard out" and "Show when program writes to standard error" entries. If you click on a register you can change its value too. For example, if we restore the MODER5 register from 0x1 to 0x0 , the LED LD2 stops blinking, since the pin is now configured as input pin. You can modify registers value only when the firmware execution is halted. During the firmware development, it can be really useful to printout messages to understand the firmware execution. Sometimes, it's important to print the content of variables in order to understand if the program is working right. Arduino offers this functionality using the embedded virtual serial port. This operation is also possible with the Nucleo, since it provides a dedicated virtual serial port too. However, the ARM CMSIS framework (which is embedded in the STM32Cube library) provides a dedicated mechanism to this type of operation: the semihosting. ARM semihosting is a sort of remote procedure call. 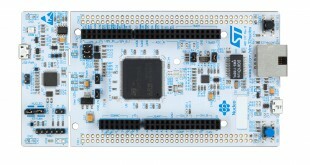 For example, the printf() function is called on the Nucleo MCU, but effective execution takes place on the PC connected to the board. This allows to abstract from specific hardware (video terminal, keyboard, etc) and code to control it (device drivers). The code running on the STM32 micro is "only responsible" of passing parameters to the PC through OpenOCD. Let's see an example. For the sake of simplicity, we'll start a new project, using following options during Project wizard. The "monitor" instruction is a prefix command that is used to transfer the remaining command from GDB to OpenOCD using 4444 TCP port. This means that OpenOCD will receive the instruction "arm semihosting enable" which enables semihosting. 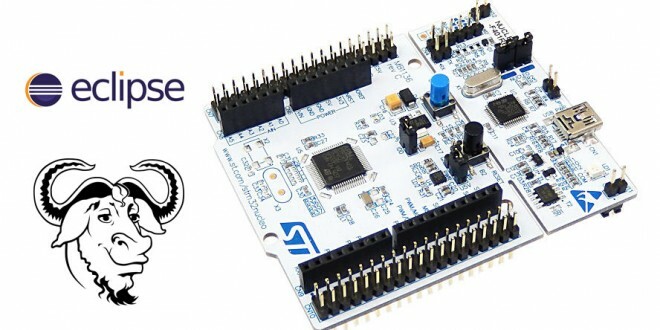 This post ends this series about on how to setup a fully working tool-chain for the STM32 Nucleo board using Eclipse, GCC, OpenOCD. Even if we specifically addressed the Nucleo development board, these instructions are still valid for the STM32 Discovery platform too. You'll only need to arrange proper configurations of specific hardware, but I think that the instructions I've given are sufficient to allow everyone to setup its working environment. This article is part of a series made of three posts. The first part is here, the second here. Your blog was extremely helpful in helping me get my STM32F401RE up & running. Thanks. 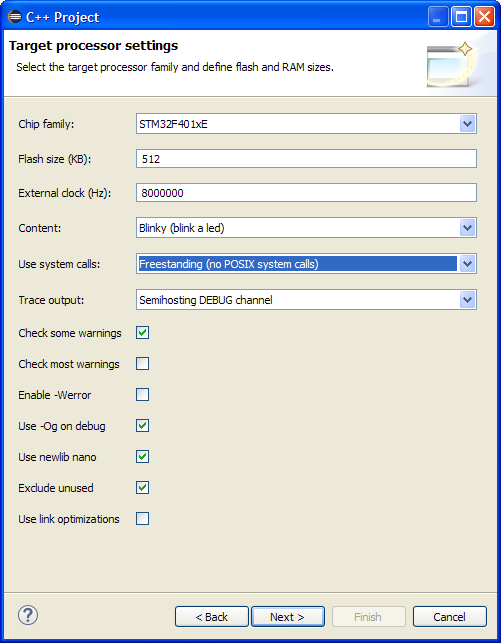 Is it possible to post a setup process for porting FreeRTOS onto STM controller using Eclipse. I haven't been really successful in getting FreeRTOS to build on eclipse, let alone port it onto hardware.. I've successfully compiled some FreeRTOS code using Eclipse, but it isn't a trivial task. I'll try to write down a tutorial about this. Could you please write a tutorial on how to compile FreeRTOS Code using eclipse soon. I kind of need it urgently to start a project. Since i'm a Noob in this area, i'm struggling with it for quite some time. Thanks. What a shame! This tool is not provided for the STM32L1xxE ! Maybe in a next update! I used with stm32f0_discovery and this gave me the correct procedure without problems. FreeRTOS tutorial will be great addition. Of course, the BlinkLed.h can be edited in same way. Hi, I'm using a stm32 F413ZH microncontroller with HAL libraries (mainly written to be used with c but can also be used with c++) in eclipse, actually I managed to completely configure eclipse including semihosting and debug mode(openOCD), the basic project files and also I managed to manually adapt the basic project files carmine described here to c++. So... now I can use HAL libraries in a c++ eclipse environment and test my code via OpenOCD and trace_printf trace_puts using semihosting. Now, again I find myself stuck but this time is different. These last 7 days I have been looking for a solution to my problem and I have tried many suggestions from similar issues online but none of them has solved my problem. * length prevents inadvertent allocation. // stack definitions in the linker script. extern char _Heap_Begin; // Defined by the linker. extern char _Heap_Limit; // Defined by the linker. // out of memory errors, so do not abort here. On internet many people says that this is because printing floats consumes a lot of memory and probable the MCU is crashing due to memory overflow, so many suggestions aim to modify the linker script where stack and heap assignations are made, some others say that this hard faut is related to_sbrk.c in newlib. I tried to adapt these solutions to my particular case but till now my problem still is not solved. I don't know if I'm badly implementing the suggestions or simply my problem is different. Can someone help me with this? Maybe you, Carmine. Any ideas? Thank you for this comprehensive guide. I was wondering if you've any experience exporting from the mbed IDE programs for offline development within this toolchain. 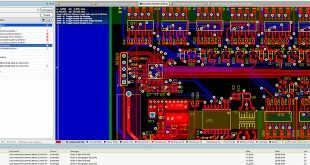 I have successfully followed your instructions here and am able to compile simple projects which I can then upload via the ST-Link onto target NUCELO boards and ST32M family chips. I have trouble when I go to export code I have developed on the mbed IDE for compiling in this toolchain (specifically, I am trying to compile in this toolchain so that I can modify the start address for use with a bootloader I developed inspired by your example bootloader from the text). Any time I attempt to compile in this toolchain I am presented with a 'make' not found error (among others). If you have had success performing this operation and have any tips they would be highly appreciated.